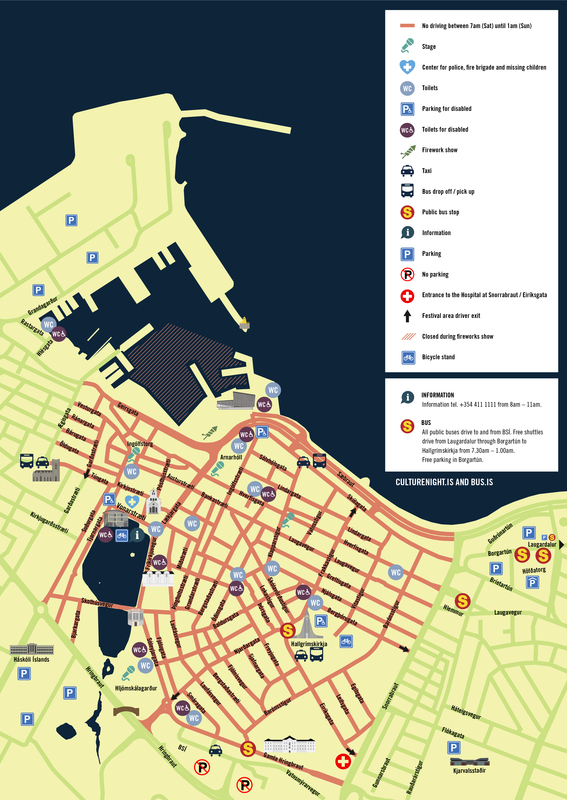 During Reykjavík Culture Night the whole down town area will be transformed into one big walking street. Therefore, the area in pink (see map below) is closed for driving traffic. We encourage our guests of Reykjavík Culture Night to walk down town, cycle or use Strætó the city bus, which is free of charge during the festival. The streets will be closed from 7am until 11:30pm. It will not be allowed to drive in to the festival area during closing hours unless with a special permission from Visit Reykjavík.